Cash Money Degreez: EXCLUSIVE: Pre-Order Chopper City Book by B.G. ! Back in the 90's New Orleans was off the chain, ya heard me?. From Uptown to Downtown, youngin's was jumping off that porch early slanging that iron and bout that murder game. Much is the story of Lil Doogie and Trill. While most youngin's was bouncing a ball, they were playing with AK-47's, Chopper's is what they started calling'em. They both grew up hard, street raised, so they adopted that Chopper City way of life early. Together, they caught their first body at 15, and would've been on the way to Angola, except Cash, one of the N.O. 's most notorious drug lords drops money on some top lawyers to help the youngin's beat the case, but on one condition... that when they walk they'd come work for him. Feeling indebted, Lil Doonie and Trill joins Cash's crime family as Head Bussa's, laying down they murder game across the city, helping Cash seize the hereoin trade. 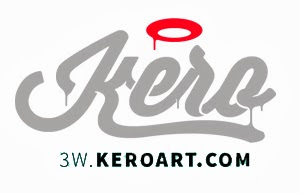 Their blood-thirsty motto being. The story heats up with its many sub-plots working, but taked a turn for the worse when Lil Doonie and Trill decide that their debt to Cash has been paid-in-full and want in on the dope game themselves. Their larceny is met by a determinated Cash to keep the two beast he helped create in their place... even if it means DEATH. Chopper City, is a tale of murder, crosses, beef... the whole 9 of which. B.G. & D. Syked knows all too well. Together, they deliver us with an unforgettable classical trip down under. ¡Realistic fiction at its absolute best! 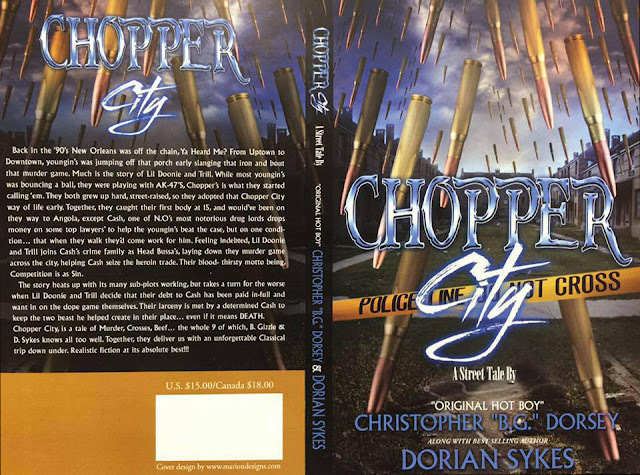 Pre-order Chopper City book by Christopher Dorsey aka B.G. along with best selling author Dorian Sykes through PayPal to bggbenterprise@gmail.com or send a email & they can send you a invoice back.